Jungle Red Writers: WHAT Were We THINKIN'? HANK PHILLIPPI RYAN: I have a pal who majored in poetry in college. Drove his parents crazy. As a result, my pal was thoughtful, caring, eloquent--and completely unemployable. Then he says, just to drive HIM crazy, his son majored in poetry, too. Okay, my pal has managed. But you've gotta admit, choosing the life of an author is setting a pretty high bar. Hard enough to do the writing, forget the whole impossible economics of it--and then--you've got to show your work to someone! And what if they hate it? Rejection. The worst. So you know book conventions, right? Panels of authors talking about new ideas and new books and writing and reading and..stuff like: voice. But at Bouchercon in St. Louis a week or so ago, something very strange happened on one of the panels. "Voice" took on a whole new context.The panelists...wait for it...SANG. SANG! Would you have the moxie to sing your answers? I must be a glutton for punishment. That’s the only explanation for my career choices. I’m a professional singer and actress. I might even dance for you if you pay me enough. Both the singer and actress fields filled with oodles of rejections. So, of course, I decide to pursue the next obvious choice - an author. Can someone please tel l me what I was thinking? I have to admit that I’m not sure I was thinking at all. Becoming an author was never one of my childhood dreams. I was a reader not a writer. Every day I hauled my backpack filled with text books and at least one novel to school with me. My local library was a favorite destination. But never in all my childhood daydreams did I think I would one day write a book that would sit on a library shelf. Then one day, I sat down one day with an idea for an opening line for a novel in my head and I started writing for my own pleasure. To see if I could. To see what would happen next. What happened next was that I learned I liked the challenge of filling a blank page. (Yep, there’s that ‘glutton for punishment’ theme again.) So, I decided to try to write a real book. Once that book was done I decided to start submitting it to editors and agents. That’s when the rejection started. I wrote another book. More rejections. Funny, but my other professions made me ideally suited to the rejection that inevitably comes along with writing. Sure, there are some writers who get their first manuscripts published. (This was so not me. It took me five attempts to finally get the call.) But even those published-out-of-the-gate writers get rejections on later manuscripts or in the form of bad reviews. Rejection is something that comes with the territory. And I traveled lots of that not so happy territory in my myriad of careers. Funny, but I’m really grateful for those rejections. Yeah, I realize that my gratitude for being kicked to the curb makes me slightly unbalanced. I’m okay with that. But one thing I know is those rejection letters is that they made me a better writer. They also gave me time to figure out what kind of stories I really wanted to write. See, when I started writing, I decided I was going to write emotionally driven women’s fiction. Perhaps because some of my favorite books are ones that tug at my heart strings and make me cry. Well, I tried. I really did. I wanted to make people sigh and weep and feel as if the author was a close friend who understood their problems. Some of my best author friends are fabulous at making me read with a box of tissues close at hand. I wanted to be them when I grew up. Instead, I wrote about a dead body in a roller rink toilet, an ex-circus camel that wears hats and a grandfather who impersonates Elvis. Yeah – so much for growing up into a hard-hitting women’s fiction writer. Trying to become one was like putting a triangular peg into a round hole. A miracle girdle hasn’t been invented yet that could squash me enough into the right shape and size. The agents and editors who read those attempts probably understood that. 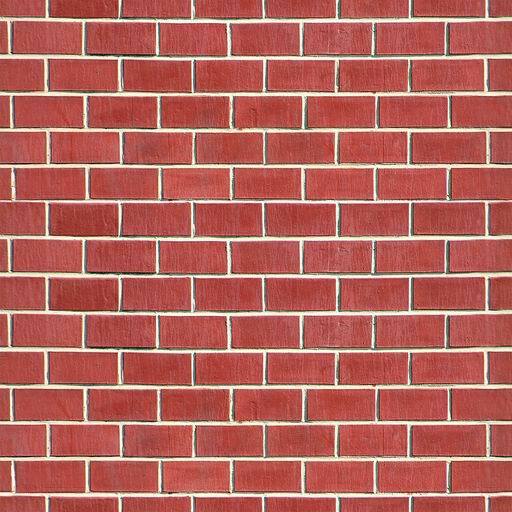 Today, I sit behind my computer screen and write whatever off-the-wall thing pops into my head and I enjoy every minute of it. And those rejection letters? Well, I wear them as a badge of honor and am thankful for every one of them. For good or for ill, they made me the writer I am today. HANK: Yep. I've had a couple of doozies. A million years ago, I sent in three chapters of a book about a golf pro. (A problem, since I have no idea how to play golf.) I submitted to two agents, figuring, hey, how hard can this be? One agent wrote back: What a terrific writer you are! But this book has no plot." The other wrote back: "This is a terrific plot! But, I fear, you are not much of a writer." That was almost word for word. As a result, I gave up. For--about fifteen years. So recently I re-read the "book," having thought--hey! Why not just use that? It was--well, let's just the "not much of a writer" agent was right on the money. Point of view? La dee dah. There was none. (You should read it. Eeesh.) But now I know. So how about you? Rejections make you stronger? Or just make you feel--rejected? How do you deal with it? And how have you changed? 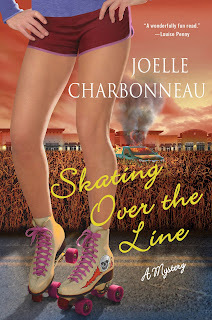 And we're giving away a copy of Joelle's book to a lucky commenter! Probably true for most writers, the first rejections were the hardest for me. I questioned whether I was doing what I was meant to do. Having kept at it and edited a few projects as well, I see rejection as a necessary part of the game; there's just not enough space to publish everyone. Rejection only makes you a better writer if it teaches you to read your work more objectively. Then, from all the feedback you receive and all the times you re-read, you'll be able to do what's best for the particular piece, and send it out again. Joelle, your comments just made me realize that my nine year career as an insurance agent insulated me from rejection when I was writing my first book, lo, these many years ago. No wonder I didn't take it personally. Also, just because someone says "no", it doesn't mean they don't like you, or even your work, unless they say one of those things, specifically. It just means they are not in a position to partner up with you. Retired circus camel that wears hats? I must read these books! I already have Joelle's book, so DQing myself. I just had to swing by and wave hi. I just love Joelle's determined doggedness. As a matter of fact rejection is part of her vocabulary. But, if you've ever heard her sing, you'll wonder why on earth she gave that up. 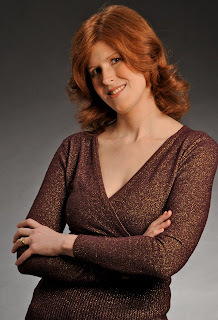 She did well in the talent gene pool, plus she's so nice and she writes a fantastic story! Lovely blog, ladies! Any rejection is tough, but a writer has to shift into being a professional and decide what can be learned and used. My first published story was initially rejected because the editor thought it didn't fit the theme of her anthology exactly, but... she suggested some changes, propped me up by saying she loved my writing, and challenged me to sub it to a magazine I thought over my head. Well, it wasn't. They loved it and bought it and published it! I now look at rejections as simply not having found the right home. What good parent would want that? Or as an investment opportunity. An editor once rejected one of my stories (she already had one with a snake charmer), but since she really liked my writing, invited me into her next three anthologies. The trick is to not give up. Just keep punching and subbing. And writing. So, give yourself no more than 24 hours to beat yourself bloody, then grab some pens, hoist them high, and in your best Scarlett O'Hara twang say "As God is my witness, I'll never be rejected again." A little wine works, too. Rejections are hard to take, tough, a real kicker, yet they have made me more determined to get my work out there because I know what glorious, talented company of rejected writers go before me. 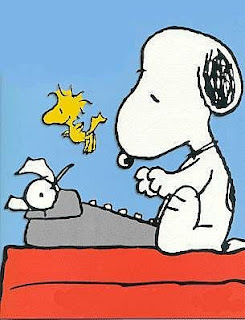 For many years, I kept a Snoopy cartoon at my desk; "Dear Author, your manuscript does not meet our needs at this time. Thank you. P.S. We noticed you sent your manuscript First Class Mail; as a courtesy, we'd like to let you know junk mail may be sent Fourth Class... the Editors." Now, I have a Post-It note with the name "Arthur Krim, United Artists, 1962." Mr. Krim, upon seeing initial footage of Sean Connery in DR. NO, sent a formal memo criticizing the producers casting choice, ending with "We can do much better than this guy." When the first episode of THE SAINT starring Roger Moore was shown to network executives, one of them said, "I've never seen a bigger crock of shi* in my life. Pass." I also remind myself on a regular basis that E.T., FORREST GUMP, and RAIDERS OF THE LOST ARK were rejected more than once by every Major Studio. Joelle - it's really helpful to hear how other writers have turned rejection into a positive thing--I'm sure many have not and just gave up. Thanks Hank and Joelle. I have just recently started to send my writing out, but I have to agree with Hank in that you get one letter saying great writing, but ... and then you get another saying ... horrible writing ... I say, "Whatever." I look at these rejections as potholes in the road to publication. Yes, they are upsetting when you first get them, but then I realize if I weren't getting them, I wouldn't be putting myself out there. Hey, I'm in good company, you both got them, even J.K. Rowling got them, Steven King got them and so did James Patterson. As Gerald S. said, it's all part of the game. Getting a rejection doesn't mean failure ... quitting when you get one ... that's failure. Hi Joelle, and welcome to JRW. I'm so sorry I missed the singing panel at Bouchercon! I too thought I would like to take a stab at women's fiction--but it's a lot harder than it looks! Even my own agent didn't like what I came up with:). Yes, rejection made me stronger! I collected almost 200 rejections on my short stories to get 9 published. Yes, that's an average of 20 per story. I was rejected by 89 literary agents before the 90th one signed me on. I always tell writers to submit to at least 100 before giving up on that manuscript and writing another one--as long as you're getting some positive feedback (requests for full manuscripts, suggestions for revisions, etc.). I guess the lesson here is if you have a thin skin, just write for your diary or something. And no matter how wonderful a book or story is, there will be someone, somewhere, who will have an issue with some part of it. We're all different, and we all have different tastes and preferences. One man's meat is another man's poison, ya know. This was a timely post because I feel like I'm at a crossroads with my writing. Joelle, I like what you said about trying to write women's fiction but then finding your true voice. I think I might be there with crime fiction. I need to get quiet and realize what kind of crime fiction I want to write--my authentic voice. About rejections. I used to get excited about rejections. Really. I felt like a "real" writer, paying my dues. I was one rejection closer to publication! Now, years later, I get depressed and fatalistic. Maybe the rejections are wearing me down? LUCY--okay. TOMORROw--if I can find it,I'll post a paragraph. AND just to make it interesting, I'll post some of the other JRW's first paras. let's see if you can recognize them!. Sorry, typing on an iPad. Gerald - I agree that the initial rejections in any field can be the hardest. A lot of people haven't developed the ability to take a step back and hear what constructive comments the rejection is giving them. Most of the time the just hear no. Karen - you made me laugh. And you're right. Just because someone says no doesn't mean that your work isn't strong. It just isn't right for them. It is important to remember that writing is very subjective. Okay - I think I might have to find that Snoopy cartoon. How great! And Lisa - it took me until my fifth manuscript to really see my voice come through. I think I was trying to hard to be things I *Thought* a writer should be instead of being myself. Funny enough, when I wrote SKATING AROUND THE LAW I knew nothing about the mystery market and was pretty sure it wouldn't sell. I just wrote it for me and my voice students who were reading along as I wrote. I think that freed something in me and allowed me to just be myself. Now when I look back at those other manuscripts, I can see moments where my voice was trying to break through. I'm really glad it finally did. I can't wait to hear you say the same thing. And Hank - Golf book? I agree with everyone else. I REALLY want to see that! Oh, Hank, thanks! Missed that. Can't wait to read Leslie's book. YOu all are hilarious...okay, I'm finding it. Hey Joelle! I know you were at a signing this morning--how did it go? And I always say--you ahve to hear NO before you can hear YES. Right? And then when you hear yes, and you will! it's all the nicer. Hank - the signing went great, although the dialogue with the audience brought up a subject that makes me think I might end up in jail at some point. I guess that is a topic for a different blog. Thanks so much for having me on Jungle Red today! It is an honor to be amongst such great writers and readers. Loved having you, Joelle..and that sounds like a very intriguing possibilty for next time! And the winner of your book is: HL Banks! HL, contact me via h ryan at whdh dot com and it will be on the way!